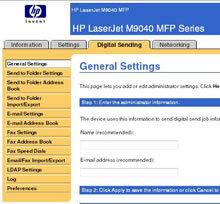 One of the convenient features of the HP LaserJet Multifunction Printer (MFP) series is the ability to populate the email address book with email addresses by utilizing email address stored in ldap. This function is especially useful in Windows Active Directory environments. Once ldap connectivity is established with a domain controller, network user changes are immediately displayed and accessible at the printer. 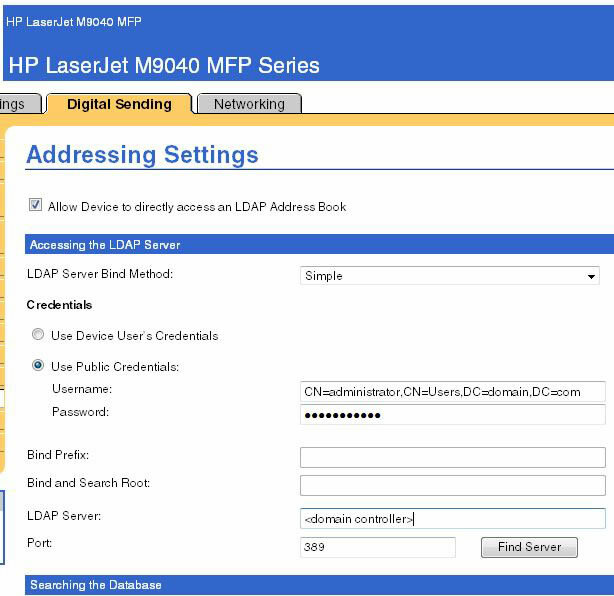 This article will walk you through the steps needed to configure ldap connectivty between an HP MFP and Windows Active Directory. 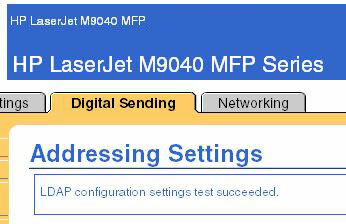 The following screen shots are from a M9040 MFP. The network environment consists of a Windows Server 2008 based domain and Exchange 2007. 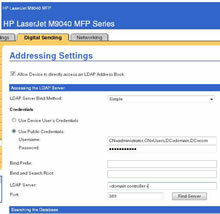 Check "Allow Device to directly access and LDAP Address Book" then complete the login credentials. Please note, the "Username" is required to be in UPN format. You can use an ldap browser to determine the proper UPN path for your environment. 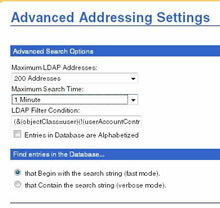 The "Find Server" function is optional and can be used to scan the network for ldap servers. You will have to apply the credentials settings before using "Find Server". Enter the LDAP server/Domain Controller IP address manually if you already have it. Fill out "Searching the Database" fields as shown below (click image for full size). Enter the UPN path to the Active Directory container where all of your users reside in the "Search Root" field. 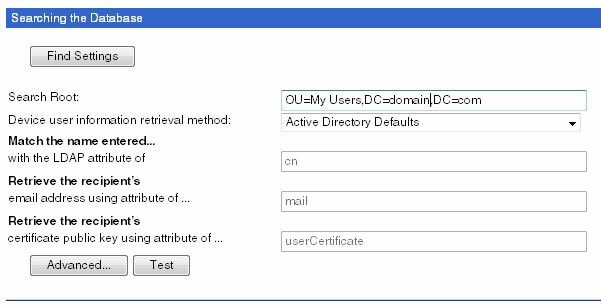 Select "Active Directory Defaults" from the drop down menu then apply your settings and select "Test". From my testing I have found that it is best to adjust the "Advanced" settings as shown in the screenshot below. This will increase the number of email addresses that are returned from the LDAP query. 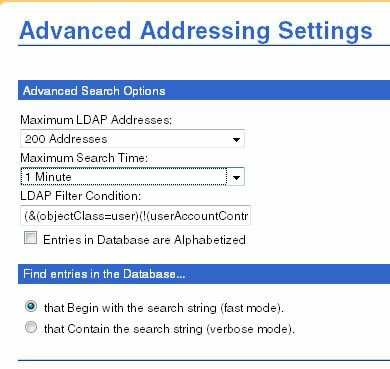 Tip: If you wish to filter out disabled users, in the "Advanced" settings, enter the following in the "LDAP Filter Condition". 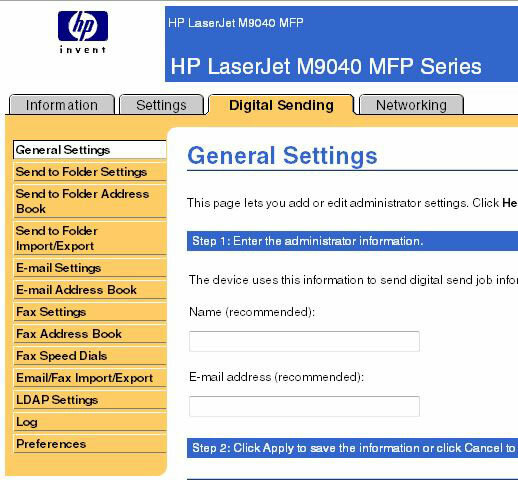 Active Directory email address should now be available under the Address Book of the Email function on the printers control panel. 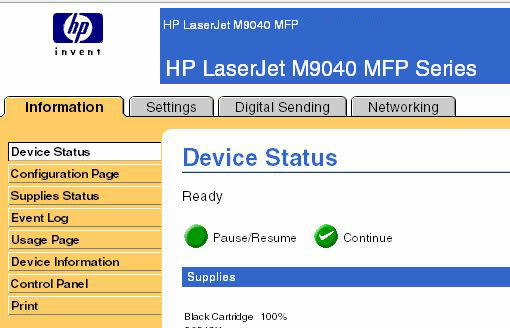 The settings above we successfully configured and tested on both an HP M4345X and an HP M9040MFP. If you receive a fail status, check your credentials configuration and ldap server address settings.